Sometimes the intensity gets so high the only thing to do is to retreat into our own world to breathe through what has, when we are able to look back on it, been one of the most transformational times we have ever lived through. Waves of Light have been surging through our energetic fields for months, unrelenting in their intensity as they electrify our physical bodies, our life situations, our routines and habits, our thoughts and desires. Anything that is not in alignment with our true purpose is being pushed to the forefront where we have no choice other than to face what is arising and let go, let go, let go. The push to let go has been just as relentless, considering the amount of letting go we’ve already done. But it makes you well and truly aware of how much baggage we really do carry around with us and how that baggage impacts on our life experience. Some false beliefs are so entrenched in our bodies it feels like a bulldozer is needed to remove them. We try and try and try and nothing seems to work. Then we get so exhausted we give up. But that is precisely when the magic happens. When the body is worn down and the ego weakens, therein lies the opportunity for the Light Waves to enter and it’s become so clearly apparent these past few months that the only thing to shift deeply stuck energy is High Frequency Light. It obliterates it in a nano second and when it does the body soars to the highest levels of bliss imaginable. But something palpable is happening now as we enter the annual Lion’s Gate, one of the most powerful energy portals I’ve experienced over the years which peaks on 8.8. 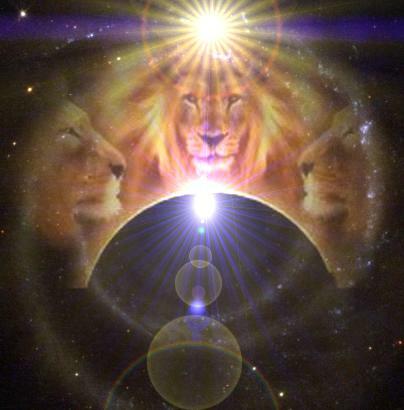 As Meg Benedicte writes, the Lion’s Gate occurs when Earth aligns with the Sirius star system and the Galactic Centre, creating a harmonious portal that unites matter and anti-matter. It is a time that awakens our DNA, activating our bodies at a deep cellular level and intensifying our already intensely activated fields. With the Sun moving into Leo, this energy can feel like the Lion’s Roar, electrifying and exhilarating every cell within us as it opens up the channels to break through to the higher frequencies and receive information with ease. With a direct link back to civilization of Ancient Egypt, with whom the Sirians were closely involved after the destruction of Atlantis, there is already a strong sense emerging of aligning with the energy of the ancients. I’m being guided to read, learn, study and gain knowledge. To absorb at lightning speed all I can to help unlock what is hidden within. When we are directed to certain books or teachings, there is often something embedded within them that will trigger a memory, a knowing, a remembrance. Something will arise that’s been long buried, bringing with it an overwhelming sense of abundant joy of having unlocked a connection we’ve long been searching for. The key is to never give up and never stop believing we have the power to change our lives. Everything is lining up now to propel us into our divine purpose, deeper into the knowledge and wisdom of our own Truth. The power of this monumental portal is immense and available to all who are embracing their own courage and consciously choosing to accept.